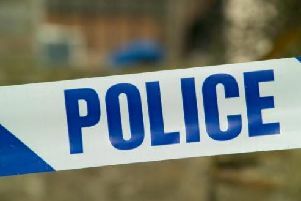 A man has been seriously assaulted in St Helens. A passing police patrol spotted two men, one of whom was believed to be unconscious and the other also appeared to have suffered minor injuries, near William Street at 5.15am on Saturday. The officers called an ambulance and both men were taken to hospital, where they are being treated. It is believed that the victim and his friend, who are both 28 years old and from St Helens, had been enjoying a night out in the town centre and shortly after 5am were heading off for something to eat before getting a taxi home. As they were walking along William Street they were approached by a group of men and one of the males assaulted the victim and his friend. During the assault the victim was punched and kicked to the head and he has sustained multiple fractures to his face,　a possible broken jaw and a fractured eye socket and could potentially lose the sight in his eye. Detective Inspector Paul Grounds said: “I would appeal to anyone who could help us find the person responsible for this vicious attack to come forward. One of the victims has suffered extensive injuries to his face and doctors are fighting to save the sight in his left eye. This is particularly distressing for the victim as he is already blind in one eye and could now face the prospect of being permanently blind. “It appears that this was a completely unprovoked assault by one man in a group of males and we understand that this group could possibly have approached other members of the public, who were in the area around the time of the assault, and they may have information which could identify the people in the group. Anyone who has information which could help detectives with their inquiries can contact St Helens CID on 0151 777 6803, or Crimestoppers anonymously on 0800 555 111.